Change can be hard, but we're here to help. As a Siemens PLM Solution Partner, our technical experts will help your organization get up and running with NX quickly and confidently. Applied CAx is offering Daimler Trucks North America suppliers special pricing on the following DTNA-specific NX software bundles, training and support. NX accelerates innovation by helping you leverage knowledge, automate processes, evaluate ideas and manage change efficiently. Unlike CAD-only solutions, NX for Design offers the highest level of integration between disciplines in an open, collaborative environment. As you know DTNA has moved to Siemens NX, and is working with its suppliers to do the same by the end of the year. So why buy from Applied CAx? When looking to purchase Siemens software, you have a choice of vendors. So why buy from us? Our combination of a mechanical design firm and FEA consultancy allows us to deliver the deepest technical capabilities of any Siemens reseller in North America. 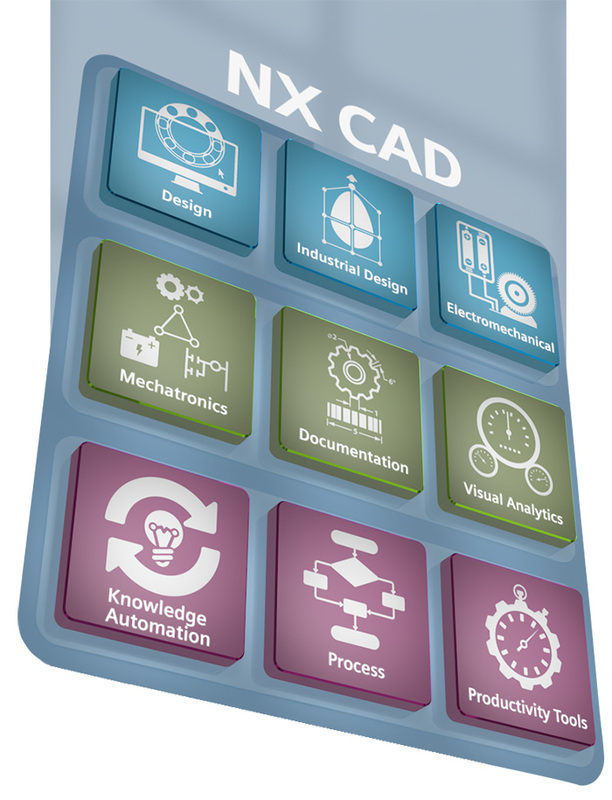 In addition to offering specially priced NX CAD Bundles to DTNA suppliers, we can help minimize your time to value through great training and tech support. Each software bundle includes the user interface exposed in NX for Teamcenter and a limited set of the Teamcenter user interface for navigation and search for managing their CAD data. Applied CAx provides clients with training and technical expertise to support the migration to Siemens PLM software. This five-day training course provides users with a foundational understanding of NX from general basics to feature modeling to drafting components and assembly backed by activities based learning. To ensure maximum educational value to your team, the course is highly-customizable to fit your engineering process. Course topics include: General interface, manipulating of parts, feature modeling, part families, assembly creation and constraints, large assembly best practices, component arrays, Sheet Metal 101, WAVE Geometry Linker, drafting components and assembly, parts list (BOM), dimensioning and synchronous modeling. For companies that supply sub-assemblies and other purchased components this class addresses reference geometry and interface concerns, in addition to the topics in the NX Foundation class. All classes are instructor led and can be customized to meet the unique needs of DTNA supplier companies. Students are introduced new modeling topics and then participate in hands-on activities related to the material presented. Instructors have years of Siemens PLM software experience and can relate tips and tricks that have real world foundations. Contact us to learn how we can get your organization up and running with NX.